If you have skype installed you can select the link below to call Alison Orr BA (hons), PG Dip, MSc (ongoing), MBANT, CHNC. 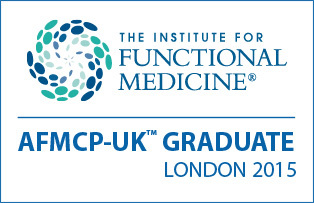 I'm Ali, I'm a registered nutritional therapist with the British Association for Applied Nutrition and Nutritional Therapy (BANT) and a graduate of AFMCP UK from the Institute for Functional Medicine. My clinic is based in Durham city but I also offer online weight loss and gut health programmes via Skype. I work with individuals who want to improve their health and lifestyle helping them to discover the amazing vitality life has to offer! Through high quality nutrition and lifestyle modifications we work together to reclaim motivation and lust for life. Whether you suffer from existing symptoms and conditions or just want to improve your general health I aim to help! Through nutritional therapy it is possible to support most areas of health and work together to help you optimise your current health status. By restoring proper function through diet and lifestyle modification the body can potentially re-balance itself and start functioning at its optimal level. Health is not simply the absence of disease but rather living life with vitality and energy. Working together and engaging you as a client is my goal. Providing a support system and educating you on how to make the right choices for your own health and how to easily incorporate these choices into your everyday busy life. Advice is up-to-date and evidence based providing answers to what can sometimes be complex health concerns. 5 x 45 minute follow up consultations to tailor the programme to your needs, no one size fits all so adjustments may be needed. Please see my website for further details and feel free to get in touch via phone - 07429 217680 - or email me for a free no obligation chat if you are confused about where to start, we can discuss what options would best suit you! MSc (ongoing) in Nutritional Therapy with a focus on overcoming barriers to change. I have always had a passion for health and fitness and love helping others achieve their goals and realise how good they really can feel. I am an avid exerciser and have experimented over the years with various training techniques and how they can support weight loss and overall health. Please see my website for more about my own personal story of nutrition.